Those articles/posts got me interested lately. Most of them are about optimizing C++ code. client’s code is open and the game itself is free, which means there are many alternative clients today. Following by the link to their official git repository and notes from developers. Then build the whole thing once again with ant and I finally managed to log in. So I proceeded through the code for some time after that. I’ve been thinking what would be easy to do and came with an idea of simply enabling maximum camera zoom for a starter. It proved to be easy. As I said, cameras are managed in the MapView.java. Next time we will tackle the networking code (which fun parts I already found, reside in the Session.java). 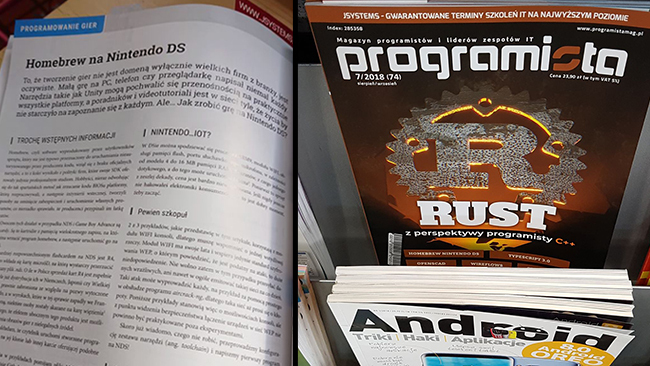 If that made you interested, look for the magazine in the “Empik” stores or buy a PDF on the “Programista” webpage. So I recently stumbled upon a problem provoked by a random craving of launching a VPN-LAN party with my friends. The game we chose is called Minecraft, and it suggests, that one can easily host a game by launching a singleplayer game and then clicking the “Open to LAN” button. Thing is, it doesn’t work that well on VPN’s. Failed to log in: The authentication servers are currently down for maintenance. That’s weird, isn’t it? But anyway, my idea was – let’s just launch Minecraft with access only to the VPN network, not to the internet itself – maybe there will be no authentication attempts if it detects no Internet? I proceeded to the scripting. Scripting, because on a Linux, one can run a process in a namespace, where it’s going to be sandboxed only to those network interfaces one selects. It does what it suggests in the echo’s. After running it I exclaimed SUCCESS! "C:\Program Files (x86)\ForceBindIP\ForceBindIP.exe" 25.60.2 33.140 "D:\Data\Minecraft\MinecraftLauncher.exe"
Where the first part is the place where ForceBindIP is installed, the second part is Hamachi IP and the third part is the Minecraft Launcher installation directory. That’s the moment when we tried again to play. I hosted the game with a launcher I started with my script, my friend tried to connect via ForceBindIP and…. And yes, I know that one can download only a *server* and it’s probably going to work – but if that so, why the Open to lan button anyway?